Sympathy gift etiquette can be tricky. What should you do for a friend or family member when someone dies? One thing about a death in the family is that life completely changes. You are in shock, you feel different. Somehow, recognition that something major, dramatic and overwhelming has happened to you is very comforting. So unless you get it very, very wrong, pretty much any sympathy gift is going to be much appreciated. A sympathy gift says, "I acknowledge that something huge and overwhelming has happened to you, and I am thinking about you". That is the main thing, but it is important to be there for the bereaved too. When should I send the sympathy gift? To whom should I send the sympathy gift? What should I give someone when a family member dies? Do you wrap sympathy gifts? Where to buy sympathy gifts? What if someone asks for a donation instead? Should I expect to receive a thank you card for a sympathy gift? What is the etiquette for giving sympathy flowers or gift baskets? 1. Are sympathy gifts appropriate? Everyone loves to receive a gift and in times of mourning it can be particularly comforting to know that people are thinking of you. The only times when a sympathy gift may be inappropriate might be, for example, if the giving of flowers is not a custom in that person's religion as is the case with the Jewish faith. Also if giving food, make sure that you are aware of any dietary restrictions of the recipient. There are many other types of gifts you can give, such as candles, framed poems, comfort blankets, wind chimes, memorial plaques or even just a beautiful card to express your condolences. 2. When should I send the sympathy gift? Send a sympathy gift or at least a card as soon as you can after hearing about the death. At least within a couple of weeks so that the person knows you haven't forgotten them. If you are particularly close to the deceased, or the family, you could give a more personalised gift later on, such as a memorial tree or a memorial bench. which requires more planning or thought. Sometimes families hold memorial services or ceremonies for scattering the ashes months or even years after the death, which could also be appropriate times for a more personal gift. 3. To whom should I send the sympathy gift? This may depend on your relationship with the deceased or the family. If, for example, the deceased is a relative of a friend, you might address the gift to the friend 'and family'. If the deceased is a family member, and you have many relatives who are grieving the loss, it may be more complicated. Perhaps in this case a gift such as a donation to the loved one's favourite cause may be appropriate and then you can send a card about the gift to each grieving family member. See more about donations below. If the deceased is the person you knew well, you could send a gift such as flowers or a hamper or basket to the whole family. 4. What is an appropriate sympathy gift? Sympathy gifts are not a essential. A phone call, an email, a sympathy card or a casserole are all very much appreciated by the bereaved. However, a gift can also show you care, especially if you are not able to be there in person. 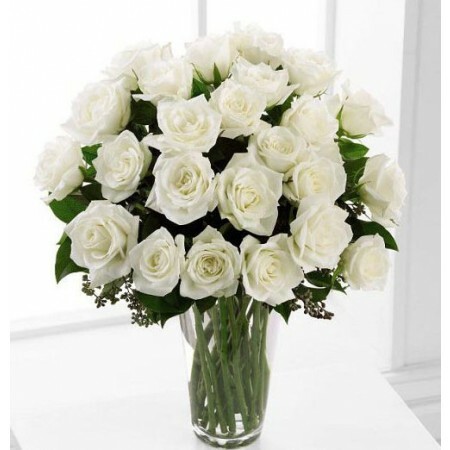 Sending sympathy flowers is the most traditional way to express your sympathy and they are appropriate for nearly every circumstance. Good sympathy gifts are ones which show you care. Any gift is going to show that you have made an effort. If you make a gift particularly personalised, such as putting a photo of the deceased in a locket, or a frame, or honouring their life with an album or keepsake, that will be a huge comfort to the bereaved. It will depend on how well you know the person who is grieving too. Don't make a gift too personal if you don't know the bereaved very well, or they are a work colleague. In that case, a card, some flowers or a gift basket are enough. See below for the sympathy gift etiquette of sending flowers or gift baskets. For ideas on the best sympathy gifts, visit this page. 5. What should I give someone when I family member dies? However, if it was a close relative, family member or best friend who died, it may sometimes be a good idea to send a gift that lasts and honours the loved one for eternity - or at least for the lifetime of the bereaved. Gifts that last can be treasured for ever, and keep on giving long after the initial shock has worn off. 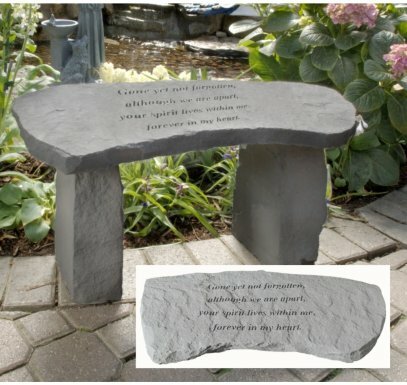 Examples of gifts which last could be memorial jewelry with the name of the lost loved one, a framed inspirational poem, or a remembrance bench. Some gifts are so personal that they would only be appropriate from a relative or very close friend of the family. If in doubt keep it fairly simple. You can also plant a tree in memory of the lost one. We have lots of ideas in our sympathy gift pages. 6. Do you wrap sympathy gifts? Many sympathy gifts such as flowers or hampers are ordered online and delivered by the company so you don't need to worry about wrapping. But if you have bought a personal gift for the bereaved and are giving it to them in person, or leaving it at the house, it would be lovely to wrap it in a tasteful paper such as oe with white flowers or just a plain silver paper. It will make it look more thoughtful and special for the person to unwrap. 7. Where to buy sympathy gifts? Unless you are lucky enough to have a suitable gift shop in your local town, the easiest way to buy sympathy gifts is probably online. There is an enormous amount of choice and hundreds of ideas from framed photos or poems, to candles, keepsake boxes, books on grief or memorial stones. Our page of the best sympathy gifts will give you some inspiration and links through to some of the best suppliers. 8. What if someone asks for a donation instead? Many people ask for a donation to their favourite cause instead of a gift, but there is no reason why you can't do both. Donations can be given without the amount being divulged to your loved one if requested. It would certainly be worthwhile to give your friend or loved one a link to this site with whatever gift you choose as it will certainly help them. You could give them the link by sending one of our cards which has the link on the back. 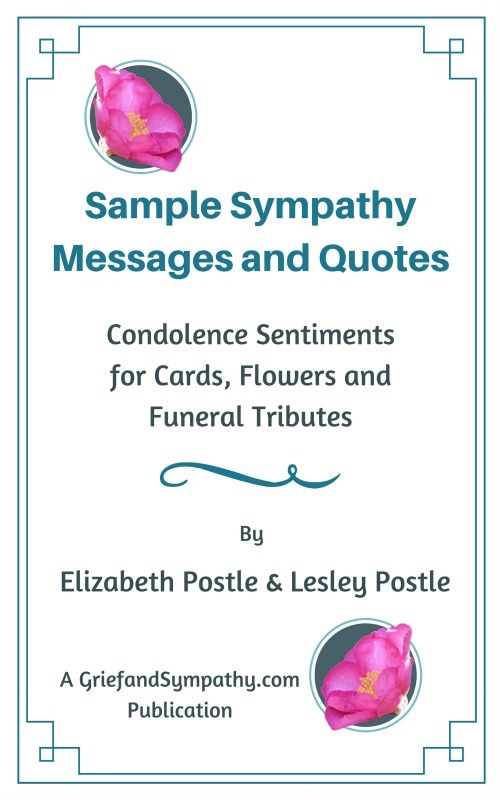 See also our section on Words of Sympathy to help you write messages and letters to go with your cards and gifts. 9. Should I expect to receive a thank you card for a sympathy gift? One point to remember, is that the bereaved are in shock, and probably overwhelmed by the number of phone calls, flowers, gifts and visitors. That doesn’t mean that you shouldn’t send them, but just realise that they may not remember who sent what, or what you did. But they will appreciate your support. Perhaps it makes sense to send a gift that will last in that case. It may be months later when a bereaved person finds or notices a gift, and will then get a sense of lasting comfort from that gift. So, whatever you do, don't be offended if you don't receive a thank you card. Grief can cause people to be forgetful and it may be too hard or to emotional for them to write thank you cards for a while or even at all. Just know, that they will appreciate your effort. 10. What is the etiquette for sympathy flowers or gift baskets? The sight of a house full of flowers is a kind of reminder that other people recognise the enormity of what has just befallen you. So you can see why a sympathy gift such as flowers can be a thoughtful gesture at a time of bereavement. But should you send them to the house or the funeral? In general, especially at smaller, more intimate funerals, the flowers are arranged by the family. 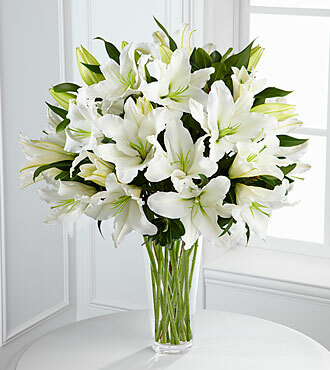 If you are more a friend of the bereaved, it is probably more appropriate to send the flowers to the home. Some families ask for a donation to their favourite charity instead of flowers, but you can always do both. Read also our page on sympathy flowers etiquette. Here is a flower company that we have used to send flowers internationally. We were very pleased with the service and the beautiful bouquets which arrived. 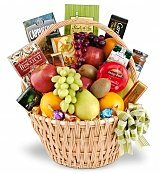 Preparing food and eating are difficult when you are newly bereaved, so perhaps a gift basket of tempting fruit or treats might be a useful alternative to sending flowers. These are always well received and are a bit different. Most people will receive a lot of flowers after a death in the family, but they are less likely to have lots of hampers or food baskets. There is a great selection to choose from here. Be aware of any particularly dietary restraints your friends may have. If in doubt a fruit basket is usually a pretty safe bet. Send a sympathy basket to over 200 countries overseas here. Sometimes a sympathy gift can have more impact if it is given a few weeks after the funeral, once the attention has died down. Even months later support is often still needed and appreciated. And don’t forget just your presence, sitting having a cup of tea, or giving a hug can be worth more than any gifts or words. Get some advice here about helping others cope with grief.